There are brick houses, stick houses, tall houses, thin houses, but the best houses of all are those where your friends live. 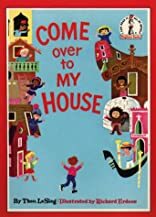 Young readers will enjoy the bouncing rhythm and catchy rhyme in this delightful look at people's homes throughout the world. 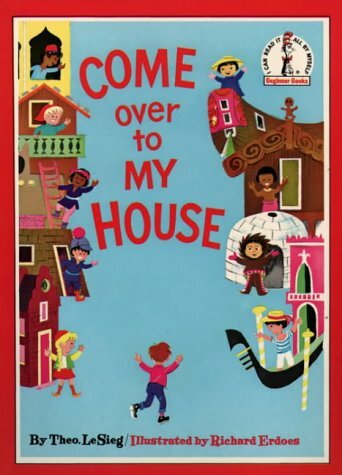 This title belongs to the highly acclaimed Beginner Book series developed by Dr. Seuss, in which the essential ingredients of rhyme, rhythm and repetition are combined with zany artwork and off-the-wall humour to create a range of books that will encourage even the most reluctant child to read. About Richard Erdoes (Illustrator) : Richard Erdoes is a published author, editor, and an illustrator of young adult books. Some of the published credits of Richard Erdoes include Thunderwoman, American Indian Myths and Legends.